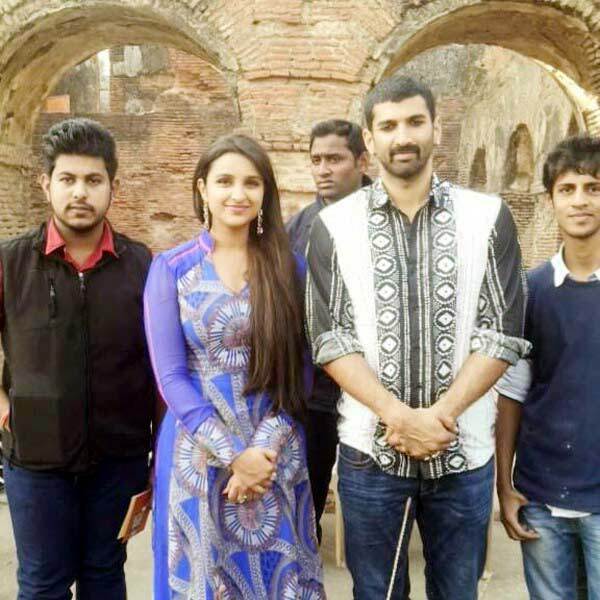 Daawat-E-ishq is upcoming Aditya Roy Kapur and Parineeti Chopra starrer flick. Music is given by Sajid-Wajid. 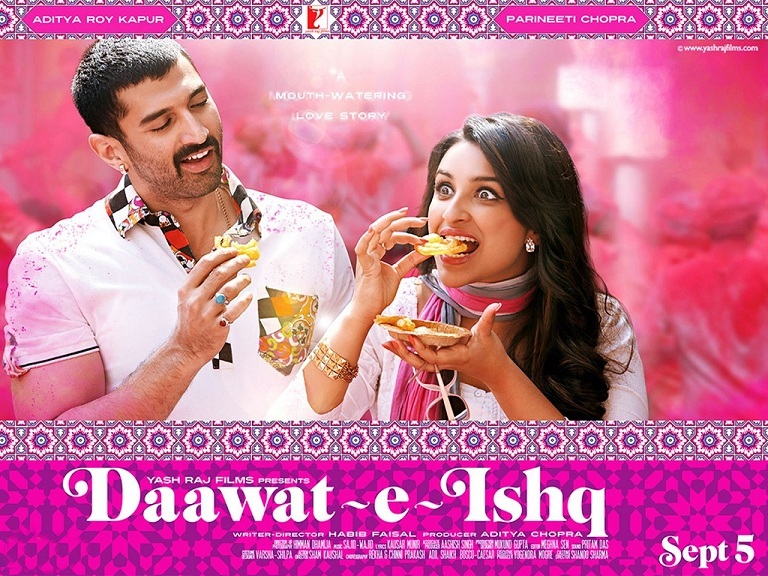 Daawat-E-Ishq Music Review : The movie is scheduled to release on 19th of september and had its music release last month. The album was expected to be good and be a treat or ‘Daawat’ for the ears but our hopes were marred. The music, lyrics offer nothing different from what you have already experienced in Bollywood. The dogging point for the album is however provided by few good soothing numbers. Let’s see how the individual tracks appeared when I heard it for the first time. The title track ‘Daawat-E-Ishq’ does not clicks and reminds you in every line that something is out of sync with lyrics, singing, and music, Individually everything is okay, but fails to stick together and be melodious for ears. 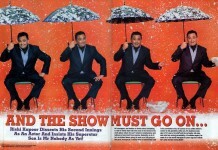 COuld have been a nice comical singing but falls short. Mannat is also penned by Kaushar Munir and has nothing new to offer. The Arabic touch and romantic expectations that this song produces are not fulfilled even by melodious singers like Sonu, Shreya and Keerthi. However, it is still a soother considering the early blocker. Rangreli is a Punjabi marriage number. The music shows nice variations even though it stays in the theme and offers nothing new. Singing is bit not so strong to tempt you towards the song. And lyrics are average. Mixes not so well. May produce good remixes. Shayarana starts on soft guitar strums followed by soft vocals that sets the tunes. This is blended with beautiful notes and finally eases the discomfort so far. The lyrics clicks well and you experience a love birds’ heart singing. This is a must hear especially as it will take some guessing to figure out Sajid-Wajid here. ‘Jaadu Tone Waaliyan’ has all wrong. You can not put in rock music everywhere and make bhajans click. A perfect in sync for a satire mix track. It could have gone a long way if done better. But this is what happens with experiments, sometimes they don’t click and make a uglier mess. ‘Mannat – Unplugged’ is in fact a much sober and better play field for the lyrics. The song looks good and is nicely recited by Sonu Nigam, Shreya Ghoshal. Can be placed on your late night playlist. Daawat-E-Ishq Instrumental is a hint on how much sync matter. The perfect instrumentation for ‘ Daawat-e-ishq’ urges you to like even the main track. But I am sad why ‘Sajid-Wajid’ missed it in the title track when they can make the instrumental much more meatier. The album can be bought for Shayarana and Mannat Unplugged version. Happy Listening and Stay Back to enjoy more. Daawat-E-Ishq is not much of 'Daawat' yet the music review was able to find a nice takeaway in 'Mannat - Unplugged' and 'Shayrana'.